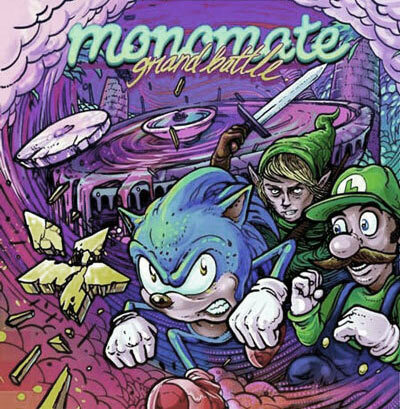 Grand Battle is the first release under the Monomate alias, and was dear leader peet's final answer to nintendocore. Released in Spring 2010, it was well-received, receiving acclaim from Erik Engstrom (aka Lord Gold) of HORSE the Band, widely considered the forefathers of the genre. These songs are fleshed-out versions of songs previously released on peet's previous band iamerror's Demo '09, with the exception of Understudy, Dreamland, and Grand Battle.